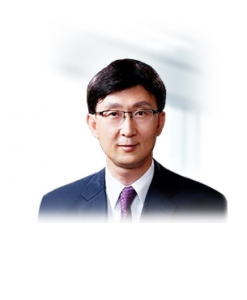 Ahn Hyo-joon, 55, will lead the investment strategy of the world’s third-largest pension fund. South Korea’s National Pension Service (NPS) has named Ahn Hyo-joon as CIO of its $567.83 billion pension fund effective Oct. 8., according to Yonhap News Agency. The pension fund is the third-largest in the world by asset value, according to Willis Tower Watson. Ahn, 55, replaces Soo-Cheol Lee, who had been the interim CIO since July, after Myoun-Wook Kang abruptly resigned in July of 2017, becoming the fund’s first CIO to leave before the end of his two-year term. “Chairman Sung-joo Kim concluded that Ahn is the right person to manage NPS assets of over 643 trillion won, considering his expertise, global capability, and understanding of the National Pension Service,” NPS said in a statement. Ahn was chosen among five short-listed candidates, and his two-year term can be extended for another year, according to Yonhap. Prior to joining the NPS, he was CEO of BNK Financial Group, a holding company based in Busan. Before that he was CEO of BNK Securities and CEO of Kyobo AXA Investment Managers. Since its inception in 1988, the National Pension Fund has recorded an average annual return of 5.5% as of the end of July, with a cumulative investment return of 309 trillion won.